Cooler weather is a great time to go after spotted seatrout in South Carolina's inshore coastal waters - but this fish provides superb action in the summer as well. That Friday, we were the first customers at the Charleston City Marina's Variety Store Restaurant. My old friend John Smoak and I inhaled a grand Southern breakfast, but the day's plan devoured our thoughts. On this voyage, we were accompanying a professional, Capt. Blake Lipscomb of Tailing Tides Charters. Our quarry: spotted seatrout. We met up at the boat landing on Shem Creek, and Lipscomb navigated his Hewes flats boat across the harbor. We headed north into the Intracoastal Waterway for a short way before veering left into Simmons Creek, a haven for menhaden from late spring into the fall. As he remarked on the year's prolific menhaden crop, the experienced Lipscomb watched for flickering in the water. Diving pelicans also offer clues to the location of this popular baitfish - which he describes as "the corn of the sea." 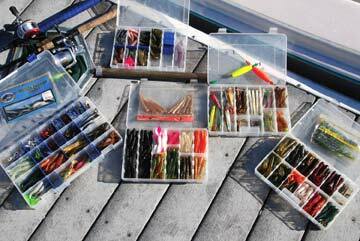 When you go in any tackle shop, you'll see all sorts of menhaden-based products, he adds. On the second try with the cast net, John caught about 75 menhaden. Capt. Lipscomb quickly placed the minnows in the livewell, since they require oxygenated water to maintain life. "For trout, I like the silver-dollar-sized menhaden," he says. "I'll use the bigger ones to live-chum once we get to our fishing spot." 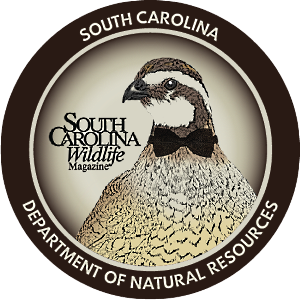 In Spotted Seatrout: Natural History and Fishing Techniques in South Carolina, a report published by the S.C. Department of Natural Resources, Charlie Wenner discusses the seatrout, whose Carolina siblings include the weakfish, or summer trout, and the sand, or silver seatrout. Wenner writes that "ichthyologists (biologists who study fishes) do not consider spotted seatrout to be a type of trout at all. Real [freshwater] trout are members of the salmon family." John Archambault, co-author of the report, chuckles as he adds: "And to confuse the matter further, I hear that in Europe, a seatrout is a true brown trout that spends part of its life in the salt water." Our saltwater trout's scientific name, Cynoscion nebulosus, translates as "clouded and dog-like," according to Wenner, who attributes the canine reference to the fish's long, sharp teeth. While he is unsure of the source of "clouded," perhaps it has a bit to do with the more mysterious habits of the trout. The spotted seatrout, Wenner writes, is actually a member of the drum family, which makes some sense, after all. 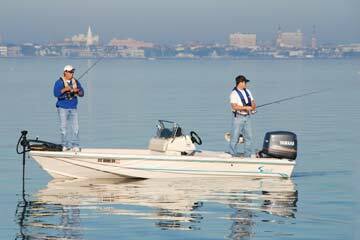 As far as inshore fish go, the red drum, or spottail bass, usually steals the glory. So it seems appropriate that the trout is the red-headed step-child, or the country cousin, of the redfish. 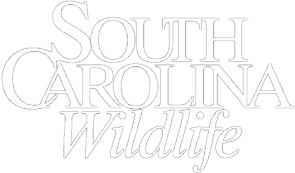 "Red drum have always been called South Carolina's most popular inshore sports fish," says Archambault. "Trout don't fight as hard, but they eat much better." Georgetown guide Capt. 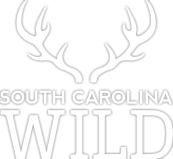 Lin Fore, of Lowcountry Expeditions, also expresses an affinity for seatrout. "Trout are a personal favorite," says Fore. "I think trout are one of the most beautiful fish out there." He continues: "Trout fishing is like when you graduate to bowhunting for deer. It's more of a challenge, but when you're successful, it's more rewarding. There's something about fooling that trout; it's what trips my trigger!" Fore's preference includes a bit of history. "When I was growing up," he recalls, "the best inshore fishermen were trout fishermen, and the best trout fishermen used artificial bait. I locked on to that. I liked to catch them on something that wasn't real." Fore remembers that "back then, everybody always called them winter trout and only fished for them in the fall and winter. I started studying what they did in Florida, subscribing to Florida Sportsman. As John Archambault and others at DNR kept compiling data, we learned that trout stick around, and each estuary has its own fish. I set out to catch trout year-round," an endeavor he confesses was "some forty years in the doing." Robert Wiggers, a DNR fisheries biologist, educator and avid fisherman, muses: "What makes spotted seatrout such an exciting species to fish for, especially if you enjoy fishing artificials, is because of the way trout are designed. They typically attack prey above them and will literally explode on baits fished on the surface. Nothing is more exciting than 'walking' a Zara Spook or other topwater plug across a submerged shell bed and seeing a trout literally knock it out of the water." Capt. Fore offers the following advice to someone who lands a big trout: "Get ready to catch another one!" Wiggers agrees. "Because they are often found in schools, rarely do you ever catch just one," he says, "and many times you make consecutive casts, all of which result in hookups. It can be fast and furious action." From a biologist's perspective, Archambault analyzes, "Since red drum and trout are cousins, I use the two to illustrate how life history plays into fish management. Spotted seatrout are sexually mature at less than one year old, when they are only twelve inches long. Red drum don't mature until around four to five years - when they reach thirty inches. The oldest seatrout we see is seven to eight years old, but red drum live forty to fifty years. Because trout mature at a younger age, they can stand a bit more fishing pressure." 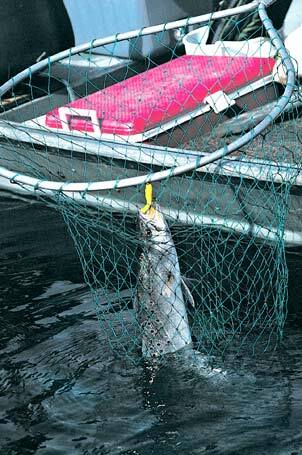 Current DNR regulations for spotted seatrout require a size limit of fourteen inches and a creel limit of ten fish per person. Both Lipscomb and Fore acknowledge that trout numbers are greatest in the fall. "I can take the average second-grader and let him catch trout in the fall," Fore declares. 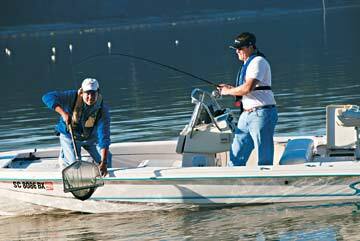 Lipscomb suggests that "though you might catch more fish during the fall, they tend to be smaller. I like to catch the bigger trout in the summer." Trout are summertime spawners. "Females spawn every two to three days with three to four days between spawns," he says. "As happens in many fish species, female trout run bigger than males. I know some fishermen who will release the bigger fish, knowing it's probably a female; this is a good idea." Lipscomb and Fore agree, and both release 90 percent of their respective catches. "With trout," says Lipscomb, "I am location fishing. I like to find currents moving around or over oyster beds or grass points. You want moving water, but clear water." As for depth, "trout are light-sensitive. You catch trout on top water at dawn or dusk - not when the sun's overhead. When the sun gets high, they go deep to avoid the light." Location is somewhat determined by the size trout you are after, says Archambault. "In November, there are two types of trout fishing. With the first, I take the boat up the river and work down the bank with a trolling motor. I cast with grubs; once I hit a concentration, I'll anchor and catch smaller trout. In the second method, I fish along structures in the lower Charleston Harbor. I use bigger bait. I might only get a half a dozen fish, but they may average sixteen to eighteen inches instead of twelve." 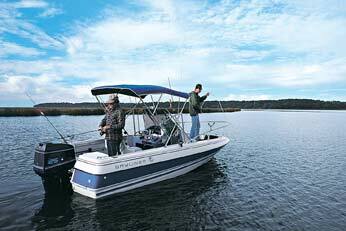 With this bigger-water approach, you might "fish a rip, or a place where water moves around structure," he adds. Regarding tides, Capt. Fore advises fishing when the water is high. "In the fall, my general rule is to fish the last two hours of the rise and the first two hours of the ebb." Lipscomb typically fishes different spots for the incoming and outgoing tides. Trout size also determines an angler's bait. Live shrimp are timeless and popular bait, and with a cast net you usually can find plenty of shrimp in fall creeks. Lipscomb reminds us, though, that "the bigger trout grow, the less their diet consists of shrimp." 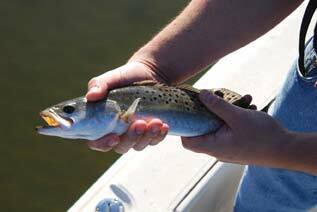 Larger trout enjoy live baits of menhaden, finger mullet and mud minnows. Lipscomb's favorite artificial bait is the D.O.A., a plastic shrimp with internal lead. The lure is available in numerous colors and attracts trout and spottail bass. "I've fished identical rigs, one with a live shrimp and the other with a D.O.A. - that D.O.A. outfishes the live bait every time," he says. You can also finesse a D.O.A. Per the advice of Mark Nichols, the lure's inventor, Lipscomb now finesses the lure with a popping cork. "The rattle and chug mimics a live shrimp," he says. "The rig now comes pre-packaged, but I tie my own - with a Cajun Thunder popping cork." Lin Fore also likes popping corks, but he prefers to use them with jigs - the traditional lead-head hook. You place a grub - a plastic, worm-like tail - on the jig. 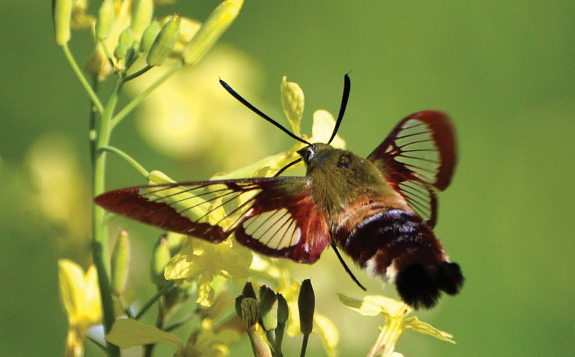 "Different color grubs work better in different areas," says Fore. Grubs are available with different-shaped tails, which create different movements underwater. Smoke metal flake and salt and pepper are two of Fore's favorite colors for curl-tails. With paddle-tails, he likes natural colors such as Arkansas glow or silver mullet. Fore also casts soft jerk baits such as the Zoom Super Flake. On our outing, Capt. Lipscomb put John and me on the trout. Of course, John - who long ago swallowed a horseshoe - caught all of the fish. He landed the first trout with a menhaden. A glow-white D.O.A. bagged a Southern flounder and a few more nice trout. As for me, I lost a big one, but I gained much more that day - a broad understanding of this challenging fish. So this fall and winter, go and seek your swimming prey when the air is crisp and the angling is good. Once you hook a spotted seatrout, you may find that it has hooked you, and you will be compelled to pursue that clouded and dog-like fish during the other months as well. Ford Walpole lives and writes on John's Island. He teaches English at James Island Charter High School.